We want to update our customers on where we stand with the on-going Arduino saga. On the other side of the battle is the manufacturing side of the project founded by Gianluca Martino, known as Arduino SRL. This outfit used to be called "Smart Projects" but changed their name to Arduino SRL in November 2014. From early on, they've been a large manufacturer of Arduino boards. Recently, they popped up under the domain Arduino.org. We could hash out the specifics of the argument, but that's been done ad nauseam in many places. If you want to get caught up, Hackaday did a nice job summarizing the story in this article. So which side of the dispute does SparkFun Electronics stand on? Well, as with many legal disputes, it's not cut and dry. SparkFun's number one priority is, and always has been, our customers. Besides the very obvious fact that it's your purchases that keep the doors open and the lights on, the truth is, many of us in this building exist in the very same stratosphere as you guys and gals. We're DIY hobbyists, and engineers, and wearable-enthusiasts, and high-altitude balloon pilots. So, at the end of the day, we want to have the coolest, best, and most reliable products available for our customers to build the projects they (and we!) want. So with that in mind, we're kind of stuck between a rock and a hard place. Right now, we are actively buying (and will continue buying for the time being) Arduino Uno's from Arduino SRL. Are we siding with them? Not necessarily -- but currently this is the only source we have for the Arduino Uno, a board that you, our customers, love. The alternative is to not stock this board, which isn't much of an alternative at all. We are just as worried about where this is heading as you are. Is Arduino going to be around in a year? We believe the community will never die but we're nervous about the hardware. Hardware is hard and spinning up contract manufacturers takes considerable effort and time. Above you'll see the SparkFun RedBoard. We created this board in 2012 because our Inventor's Kit, which used the Arduino Uno, was becoming more and more popular. Around that time Arduino came out with the Uno R3 revision that caused, overnight, all our documentation to become obsolete. It was decided then that we needed to be in control of our supply chain for our most popular products. So we made the RedBoard, which takes some of our favorite features from various Arduino boards (like the Optiboot bootloader and the stability of the FTDI from the old Duemilanove). Needless to say we are thankful the SIK and the RedBoard are shielded from the current Arduino events. Since its inception we've offered to pay royalties on the RedBoard. We've been building and will continue to build hundreds of thousands of the official Arduino Pro, Pro Mini, Fio, and LilyPad. The royalties will continue to go to Arduino.cc, the folks we license the US trademark from. 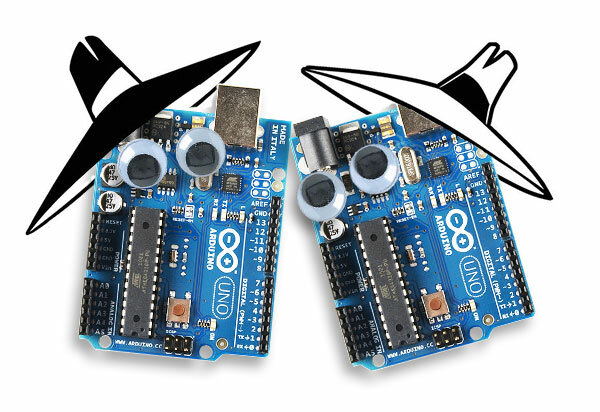 Recently we've offered to license and manufacture the other official Arduino boards: Zero, Uno, Mega, Due. We are here to support the community as much as possible. We don't want mom and dad to fight -- it's bad for the community but it happens. We will continue to buy the boards we don't internally produce from whatever source necessary so that our customers can get what they need and, ultimately, vote with their dollars. So that's it. Is that a non-stance, stance? Sort of. But, ultimately, our "side" isn't with Arduino or Arduino SRL -- it's with our customers. We will continue to do our best to bring you the products you want and need to make your electronics projects possible. The Arduino that fuels the Maker Movement is the IDE provided by Arduino.cc. I believe everyone should stop purchasing Arduino branded boards and purchase only boards that include the notice "A portion of this sale is given back to Arduino LLC to help fund continued development of new tools and new IDE features." Arduino is the IDE, not the PCB! This is best explanation I have seen as to who the support should go to. Think about it, anyone can make the boards. The software is a different story. Arduino is not just the IDE or just the PCB. It's the entire thing together. Your correct, the concept of Arduino is the total package.. But in this case with the backstabbing going on, the software trumps it all for me. And if you think about it, it should for the rest as well. I disagree. You can build your own Arduino with a 328p, breadboard, a usb programmer and a few support parts that differs little in functionality compared to the first Arduino board. The Arduino IDE is a priceless resource that provides value to a universe of Makers and Inventors. Arduino brand boards are an overpriced commodity that we support because it funds the continued development IDE. Now we find the hardware guys have stopped funding the IDE? How many companies can step in and build Ardunio boards? Dozens if not hundreds. Many are on shelves right now. But very very few could fill Massimo Banzi's shoes and empower a Movement. Commodities can be duplicated and replaced. A Movement cannot. Arduino is a Movement. The Love, the Craft, the Magic is in the IDE. Here's a thought game to play. If you are at Maker Faire, and someone says Arduino, do you think of the board or the software first? IDE every time. I see example code and libraries and support forums. And when I hear this hot new Internet of Things board is Arduino compatible I think programming via the IDE, not the mechanical layout of the pins. You can build Arduino projects without Arduino brand boards but you cannot build Arduino Projects without the Arduino IDE. The Arduino community could move forward without another board ever shipped with the Arduino Logo on the silkscreen. But remove the Arduino IDE and there is no longer Arduino. Technically, this isn't true, that you can not build Arduino Projects without the Arduino IDE. I use Atmel Studio to code some of my Arduino projects/boards. The fuzzy line is where I need to pull in some of the C files from the IDE to make the pin mappings work. I suppose technically the software. Since even before Arduino went mainstream whenever someone mentioned it my first though has always been and is still "So an Atmel chip with some support components and a bootloader". Since just about anyone can cram support components into a bread/proto board that (at least in my book) defaults the lions share of the importance to the software. The platform. The dumb misaligned rows, and the layout everyone knows. The Atmega 328, onboard 5 and 3.3v regulator that requires a 7+ v power supply. The IDE used to program the thing and a bunch of libraries scatted about my favorite sites. To me buying a RedBoard is buying an Arduino, and that's probably what I will continue to do, leaving the complexities to people I trust. I really don't care that some other company manufactures the official ones; I only care about the contributions such a company may have made to the platform and community. The cool thing is, the platform is open source hardware, and community held knowledge. Its durability is a huge validation for the concept of OSH. I can respect this position. However, it is clear from this GitHub issue that the community does not want to support SRL in any way, yet we are forced to because they manufacture the boards and are withholding payment from Arduino LLC. Not only are SparkFun and other vendors in a tough position, so is the community. SRL has made it nearly impossible to support Arduino LLC buy buying hardware. I've seen many people express their desire to skip all the drama and buy Teensy boards instead; Paul Stoffregen is a major contributor to the IDE and the community, and his boards are crazy powerful for the price. This is a logical backdoor for supporting Arduino LLC with hardware purchases, even indirectly. SparkFun can solidify its position in this scenario by choosing not to stock the "new" "Arduino" boards released by SRL. Right now we are letting the customer choose who to support. You can support SRL by buying the Unos, you can support LLC by buying the Pros, Pro Minis, Fio (not the v3), or Lilypad boards since we still pay royalties to LLC. Or you can stay neutral(ish) by buying the Redboard or the Teensy boards. At some point our customer's buying habits may choose for us as to what we carry, but until then we want to give you options and let you make that choice. And for Reprap builders, where does the Mega fit in? Perhaps Sparkfun should come out with a Redboard-Mega? I'd buy one in a heartbeat, especially if you guys figure out a way to make some of the uncommitted I/O pins on the atmega2560 available via pads or an extra connector somewheres that doesn't get in the way of existing shields. We do have a Mega RedBoard...mostly. The 5V Mega Pro has the same Atmega2560 as a Mega does, but it lacks the headers and the on-board usb-to-serial adapter. Solder your own headers on and add an FTDI Basic and you've got a board that's compatible in software and hardware with the Mega. "Recently weâve offered to license and manufacture the other official Arduino boards"
Doing this (and cutting arduino.org out of the loop entirely) would be a dream come true. It would be a real service to the entire community. At least update https://www.sparkfun.com/arduino_guide and/or product pages with who builds what board and where the royalties go for each one. Why not just buy the Redboard instead of the Uno R3? Timely article! 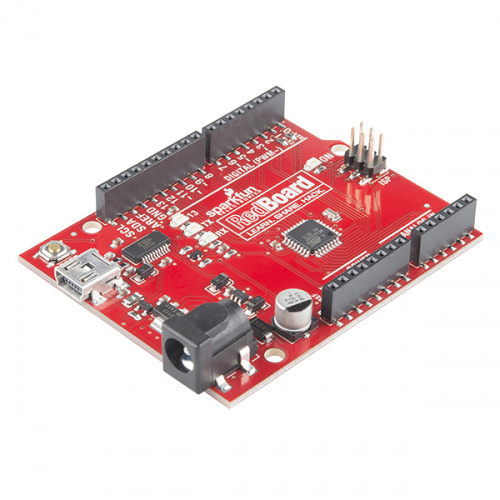 I was just wondering if the Redboard is an UNO compatible that would support Arduino LLC as I don't want to send any dollars to "Smart Projects". You laid out the information well, thank you. I hope that SparkFun or another community oriented company will be licensed to manufacture the other boards. That would be the best possible result of this ordeal. Well bugger all. First I have heard of this. Something is rotten in <del> Denmark </del> Italy. Second thing, is there a chance you can put a disclaimer on your Arduino compatible products (the uno included) that says which arduino the royalties go to, then link back to this article? It would help unsuspecting buyers make the right decisions, no matter what their stance. It's a frequent problem with similar acronyms. The one I always find most humorous is when people mix up the automobile diagnostic bus with the deceased rap artist. As for the disclaimer that is tricky. We do currently mention anytime a product has a royalty agreement and royalties are paid out. This does include the Arduino boards. All royalties go to Arduino LLC as they hold the trademark in the US (see article). The Uno is trickier though because there are no royalties, we would just be posting supplier information which we don't do and would like to stay away from. As for the ones we build like the Redboard in house but don't pay royalties on those are not marked either, but for the most part you can tell which they are because they are red. I understand the preference to omit supplier information, business flexibility, second source, and all that. However in this circumstance the ethical thing to do for your community should be to provide this information. When the picture shows the back of the board saying "arduino.cc" your customers would be rightly distressed to receive a "arduino.org" board, or some overseas knock-off for that matter. Alternatively, you could indicate sourcing in the text, e.g., "licensed from Arduino LLC" or "generic". This is a vote from a member of your community. Why isn't there a royalty for the UNO? Because we don't build the Uno. We pay Arduino LLC royalties for the official Arduino boards we build. Any royalties on the Uno would be via an agreement between Arduino LLC and Arduino SRL since they build them. Our relationship with Arduino SRL is that of a supplier, not a collaborator. Its already been reported that no royalties from SRL to LLC have been occurring for sometime. This may be true; we have no visibility into that. However, when we sell a Pro, Pro Mini, LilyPad, LilyPad USB, LilyPad Simple, LilyPad Simple Snap, or Fio, we pay royalties on the sale directly to Arduino LLC, since we manufacture those boards, under license. They are "official" boards, meaning the IDE ships with support and they are listed on the Arduino.cc product page. If you look at the Arduino.org product page you'll note that all of those products are conspicuously missing. That's because SRL doesn't make them and never has and so they have no interest in promoting them or even acknowledging their existence. I made that statement because I do not think you should be purchasing from Arduino SRL who is not paying royalties to Arduino LLC and intentionally tearing down Arduino LLC. You obviously agree that Arduino LLC is in the right, because you are paying royalties on the other products to Arduino LLC. So I would prefer that Sparkfun ditch a scoundrel. Thanks for the catch - just made that edit. After reading this: http://makezine.com/2015/03/19/massimo-banzi-fighting-for-arduino/ It is clear to me that SRL is acting in "bad faith" toward its original partners and the community (the public partner). So I would like to have a clear indicator on Sparkfun sold products where any royalties are going. So if I go to the UNO product page it should clearly state who benefits SRL or LLC. Thanks for making this issue transparent Sparkfun. I know it is a pain that you even have to deal with this. It is not fun at all. It just got worse, the IDE has been forked (f@#ked?) LLC has put a pop up in v1.6.x that warns you whenever you plug in an SRL board that it ins't supported. SRL has forked the ide and now offers a 1.7.x version! Now it gets confusing as to WHICH version of the IDE you need to use for a given board, ie: 1.0.x, 1.6.x or 1.7.x! All this backstabbing is going to KILL off Arduino. Guess Teensy and Wiring may inherit the earth? Save yourselves some time and confusion and go to Wiring IDE now! It's the original, stays updated andâfull disclosureâI've worked and eaten dinner with it's creators and they're the nicest people I've met in this community they deserve more attention. If you look at the github commit logs, it's very clear Arduino Srl simply copied Arduino 1.6.1, added in the Zero core (which they also copied from an early stage of the Zero beta testing) and a motion sensor library, and renamed it to 1.7.0. All their commits from CC's 1.6.1 to 1.7.0 fit on a single page! Meanwhile, the real Arduino published 1.6.2 with well over 100 new commits with a LOT of new code, adding a dynamic update system and other substantial new features. So much new stuff turned out to have some significant bugs, especially with the older java environments on some Linux systems, so they released 1.6.3 with bug fixes about 5 days later. Since then, if you look on Github, the real Arduino has continued developing with several commits every day. Meanwhile, Arduino.org created version 1.7.1, where the only new feature is an Ethernet2 library for a new Ethernet shield they've made. Of course, the code is all from Arduino.cc and Wiznet (company that makes the Ethernet chip). They added the Zero bootloader source (from Atmel). The few other commits between 1.7.0 to 1.7.1 which are actually their own work are just renaming more stuff, mostly in the readme file! Sadly the press seems only to interview Massimo Banzi and takes his word for the truth without any independent verification (very bad journalism), so we only get his version of the story over and over again. So at first, I also thought, Gianluca Martino (the arduino.org guy) to a backstabbing crook. But then I read the story of Hernando BarragÃ¡n (https://arduinohistory.github.io/). It'll make you seriously doubt the integrity of Banzi, the arduino.cc guy who regularly and repeatedly claims that all of this was his idea and design (Board, IDE, everything)... while in truth it's a fork of "Wiring" (one comment mentioned that), developed by said BarragÃ¡n (from "Processing"... just google it). He even developed the early prototypes that with some minor changes in layout became the Arduino. BarragÃ¡n was never contacted or even notified. Also one note on Martino: While Banzi planned to outsource manufacturing as widely as possible, with Arduino SRL collecting royalties. Martino (as he states) on the other hand wanted to keep the manufacturing of Arduino Brand products in Ivrea, Italy(which, in theory, could secure jobs in the region and guarantee a certain level of built-quality). So read BarragÃ¡n's story and make your own opinion based on some more facts. However the community created around the arduino and the empowerment it brings to the maker movement stems from the original idea and the work of the original 5. I make my own stuff not because of my italian made boards.. but because the tech is open sourced and many people that know much more than I do lead the way. I cannot in good faith purchase UNOS that benefit Arduino SRL... Sparkfun please licence from Arduino SRL please help keep the standard, keep the community. It seems to me that the real losers in all this are humanity in general, and the Makers and would-be Makers who use, or would use, the Arduino. I've long said that the IDE has some sad lacks (notably "single step" and "variable watch") which make it FAR easier for newbies to understand what's happening in their programs. It seems that this enrichment-of-lawyers is likely to retard, rather than encourage, major improvements in either the IDE or the hardware. There are projects which I've done with various Arduinos or spinoffs (including the Pro Micro and Adafruit's Trinket) that I might have done with PICs ("bare" microcomputers), though I realize that most Makers don't have that level of skill. For many things, the Raspberry Pi or Beagle Bone Black offer more "bang for the buck", but again, require a higher skill level than Arduinos. The real winners in this? The lawyers. The 'Arduino' flavor of AVR development is based on cheap and little to no up front investment to begin. So serial (usually via usb to serial but still serial) is the name of the game. You can't get at the onchip emulation capabilities Atmel includes that way. Go check the price difference between a USB/Serial adapter (or the fact most 'Arduino' products directly interface via USB) and one of Atmel's ICE programming interfaces and you will understand. Arduino is for tinkerers, professionals write the check and use the pro tools. Speaking from my days in tech support, plenty of professionals/professional companies use the cheap Arduino option as well. Thank you Nate for commenting on this. All that Google has shown us so far is "information". It's now up to the courts and jury to turn this into "facts". I haven't seen much from the other side of the battle, but ramping up hardware manufacturing takes capital and supply chain relationships can be problematic, so they will probably spin a good story. With appeals and lawsuits on both sides of the pond it could take years to settle down. We are moving into the ARM Cortex era, and SparkFun could help by offering a licensed "Redboard Zero", if you can get the LLC group's software support. Sparkfun should also help by indicating the manufacturer source of its Arduino boards, and using different SKUs for the different suppliers. A picture of a .cc board should not result in delivery of a .org board, truth in advertising and all. An alternative would be to just walk away from Arduino boards and go with a new generation of the Teensy, again the software is more important than the hardware. Just another rambling from this old man. While the AVR processor is nice it has become over priced and going out the door like the chips of yesterday. ARM's are the way to go. I may pull an Arduino out once a month to prototype something and make a proof of concept out of it but in the end I use mostly ARM's. The SAMD10 or SAMD11 is a perfect example of a great ARM chip to replace the UNO. in quantity it is under $1 per chip. It's big brothers the SAMD20 and SAMD21 are around $2 bucks in quantity. With that said an arm SAMD20/21 can have almost the exact pin out of a MEGA and be 1/5 the cost. While this is sad it is time to spark a revolution in the Arduino world and Arduino needs to move to arm in the long run. Now is the time for Arduino to start up a whole new line of Arduino's and bring the ARM's into full light. I don't believe that Arduino can survive as just an IDE. It needs both the hardware and software to stay strong for the future to come. Does anyone know what the future (or history) is of the Arduino Zero? Is it (or Atmel) stuck somehow in a contract with Arduino SRL? Seems strange that SRL has begun selling it, while LLC has not. The Arduino.cc Zero is a darker shade of blue and the silkscreen on the back says "MADE IN EU", also it has 3 electrolytic caps, one located near the power connector. The Arduino.org Zero Pro R3 is the traditional Arduino Teal, says "MADE IN ITALY" and has the map of Italy, and does not have the 3rd electrolytic. From the pictures it looks like there are some minor differences in layout and routing. Both boards seem to have the Atmel debug chip. In my opinion the Zero Pro R3 is overpriced and without massive community software support its future is unknown. I would suggest using the Teensy 3.1 because the price is lower, it will take 5 volt digital inputs without blowing, and it has software support. Thanks for pointing me towards the Teensy 3.1, which looks like a great product. The issues mentioned in the article were obviously inevitable - we could see the storm brewing, no surprise. I truly appreciate SparkFun giving their customers a heads-up. It's refreshing to have a company willing to share news, even if the news doesn't have a purely positive &/or definitive outcome. SparkFun's approach to put the cards on the table is worthy of respect - a model which other companies should practice. And . . . on an almost totally unrelated topic, I began using my first RedBoard last night and I absolutely love it! 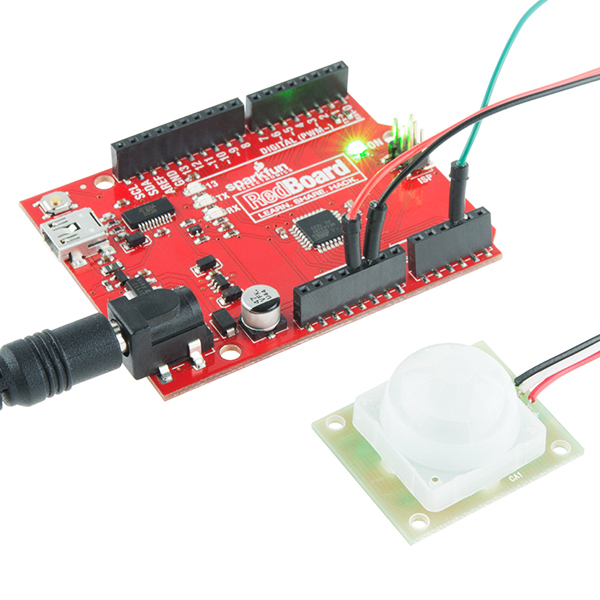 Sparkfun could always simply drop the Arduino, and start selling MSP430 Launch Pads. They're grand wee boards, at a fraction of the price of the Uno. I have been using a couple boards from the Launchpad series and really like them. Sparkfun used to carry the MSP430 but I'm guessing the margin was too small to make it worth their while. Thank you for commenting on this issue. This is yet another angle, it is backed by some of the core OpenWRT developers so it gets excellent support in OpenWRT. It has full CE/FCC/IC certification and it is designed by qualified RF engineers. So who gets to do the Yun? one of the Arduino groups or the OpenWRT people? Personally I'm going with the Domino since it is way harder to get the 802.11 stuff right than the Arduino side.